It's hard to deny someone's personhood when they're going through the same struggles you are. Katherine Paul, known musically as Black Belt Eagle Scout, is a self-described "queer indigenous radical feminist," but this trait could be easy to miss if not for her artistic moniker and her song titles (such as "Indians Never Die"). 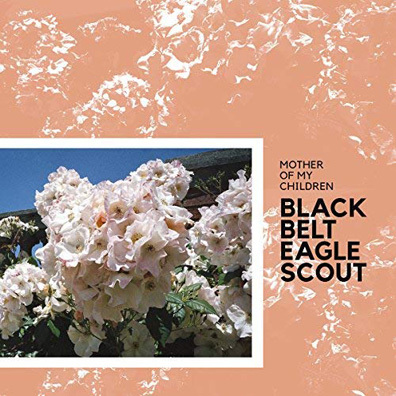 Instead, what shines on Mother of My Children, her debut album, is the notion that, although the struggles of marginalized folks are fully real and in deep need of fixing, oppressed people work through the same personal, emotional, and romantic turmoil as all people do. Paul proves her thesis deftly across eight songs and 35 minutes that generally simmer without ever fully boiling, even at their grungiest. Opening track and first single "Soft Stud" details the added complexity that the queer existence brings to an open relationship. On it, a grunge-speckled riff threatens to explode loudly, but never quite does, under the concise but world-encompassing refrain, "I know you're taken/need you want you." "Indians Never Die" fixates on Paul whispering "wasting, wasting away" over an enamoring campfire-song arrangement. "Just Lie Down" arrives via a barrage of panic-inducing power chords but quickly relaxes, a fitting introduction for a song in which Paul's subject puts her head on the ground and sees a sky as blue as a lover.